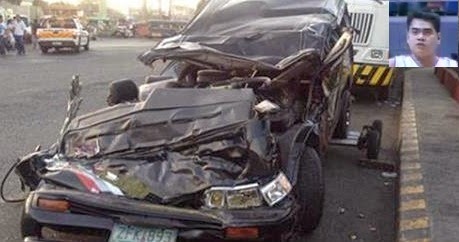 April 1, 2014; the former PBA player named Bryan Gahol and unnamed woman died in South Luzon Expressway (SLEX) accident involving multiple vehicle collision early morning. According to initial investigation Gahol where inside Nissan Urvan that was hit by a trailer truck which first by a cargo jeep from San Jose, Occidental Mindoro with 11 passengers. Based on ABS-CBN news reports, Gahol and his friends were on their way from Laguna to Quezon City to attend a wake when the accident happened. Gahol companions riding Nissan Urvan survived the accident while the two passengers of cargo jeep were injured named; Johnny Bangsoy and Felix Gonatisie respectively. Drivers of trailer track and cargo jeep involves on multiple vehicle collision are now under Highway Patrol Group custody. This SLEX accident caused heavy traffic near Southwoods in Laguna. Further information of said accident involving Bryan Gahol will posted here as soon as its available. 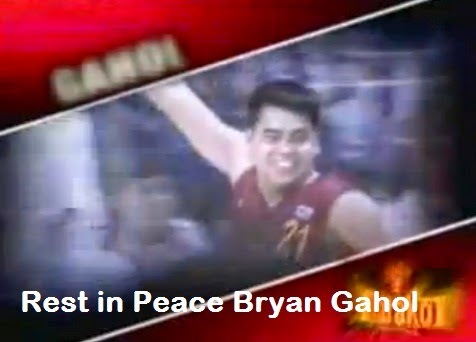 In behalf of this blog authors we extend our condolences to Gahol's family and friends, rest in peace Bryan.